This is quite typical of a Soviet era dacha. One floor with an attic and cellar, likely two rooms on the main floor. (Anything more signaled that you just might be a closet capitalist, necessitating a visit from the KGB). Although it’s clearly been maintained sometime since the fall of the USSR, I have not seen anyone live here in the five years I’ve spent summers here. It clearly could be worth something to the owner, since the property is a five minute walk from a river and in an area close enough to Kiev that it could command a nice price. 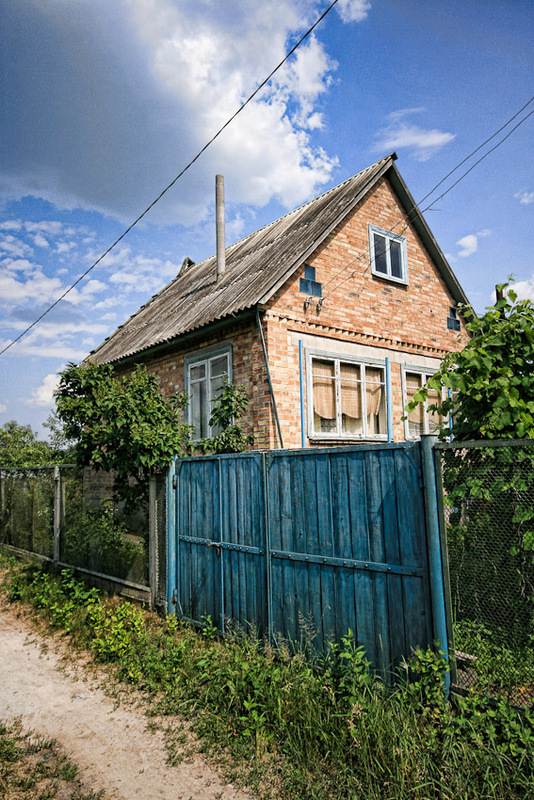 But this dacha, along with at least ten others within a five minute walk, remains unmaintained and unused.